After tensed debates on March 14 the European Parliament voted on a resolution, calling the Council to set a date for the start of accession negotiations with Macedonia. The former Yugoslav republic is the first in enlargement history that has waited for such a long time to receive a date for negotiations. In December 2005 the country is granted candidate status but does not start negotiations because of Greece's veto, which wants beforehand the name dispute to be solved. Greece does not want a country to have the same name as a geographic area of its, Macedonia, and this is why it insists the former Yugoslav republic to come up with another name. Quite naturally this issue was at the epicentre of the debates in Strasbourg yesterday, among which the Bulgarian problems with Skopje were also squeezed through. Why Macedonia should start negotiations? Most of the members of the European Parliament who spoke, mainly from the countries outside the Balkans, insisted that Macedonia had to start negotiations in order to avoid losing the momentum from the signing of the accession treaty of Croatia in December 2011. Additional boost to the enlargement policy of the Union was the granting of a candidate status to another Western Balkan country - Serbia - quite recently by the way - at the Spring European Council in the beginning of March. In the text of the voted by parliament resolution, made by British MEP and rapporteur on the issue Richard Howitt (Socialists&Democrats), there is regret that the Council had not taken into account the Commission recommendation, a third year in a row, and has not taken a decision to start negotiations with the country at its summit on December 9, 2011. Given the progress achieved by other countries from the Western Balkans, the resolution reads, there is a feeling that the country's progress is hampered and could stop the process of improvement of the inter-ethnic relations inside Macedonia. A possible failure of Macedonia for a steady progress toward accession poses a real threat for the stability and security of all in the region. No country should be left behind, is the message of the resolution, repeated a number of times by MEPs in the otherwise quite empty house on the morning of March 14 in Strasbourg. "The EU and its Member States must never take for granted the European perspective of any applicant country and must show equal efforts toward accelerating the accession process in a true spirit of partnership", is written in the approved document. The resolution can be defined as very balanced because it takes into account all the aspects of Macedonia's relations with its neighbours, its future and the dangers leaving the country on its own hides. It points out the main problems for the country in the political, economic and judicial area, as there is a special chapter for the name dispute with Greece. 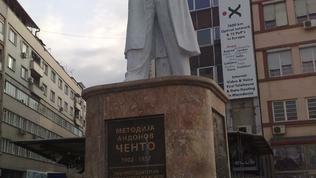 It is indicative that where the criticism to the Macedonian authorities starts, the beginning is with media. The call to the authorities and media to start working together is reiterated for the creation of a positive atmosphere, aimed at helping the development of the relations with the neighbouring countries and not to encourage hate speech (a remark of which Bulgarian MEPs insisted). Precisely with media started the statement of Danish European Affairs Minister Nicolai Wammen, who explicitly mentioned the pressure the Macedonian authorities exercised on a TV (A1) and three newspapers in the form of tax evasion charges. The resolution expresses concern with the growing tendency the country to pay special attention to its ethnic and cultural identity at the expense of the identity and culture of the neighbouring countries. 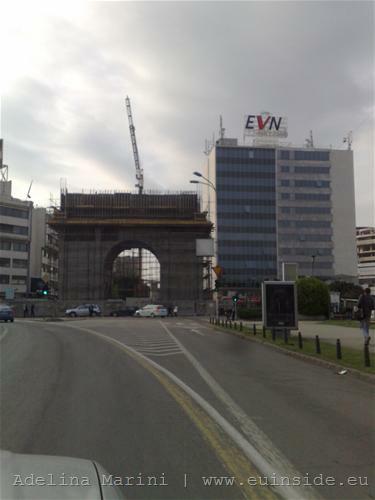 Without saying it explicitly, probably what is behind this wording is the huge resources (financial and public) Macedonia is investing in building memorials. As regards the name dispute there is concern that this problem is still blocking the country's path to EU membership, thus hindering the very enlargement process itself. It is pointed out that the good neighbourly relations are a key criterion in the process of enlargement and is called upon the governments to avoid controversial gestures, actions or statement that could have negative effect on these relations. In the same time regret is expressed that the term 'Macedonia' is omitted from the 2011 progress report of the European Commission, although it is a norm in terms of language, culture and identity of the country, as is stipulated in United Nations texts. The resolution fears that if this omission persists it could evoke negative reactions in the public opinion. There is a very important element in the resolution. It calls for a deadline to be set for solving the name dispute and this deadline to be at the latest before the end of the screening process the Commission will undertake once a date is set for the negotiations. 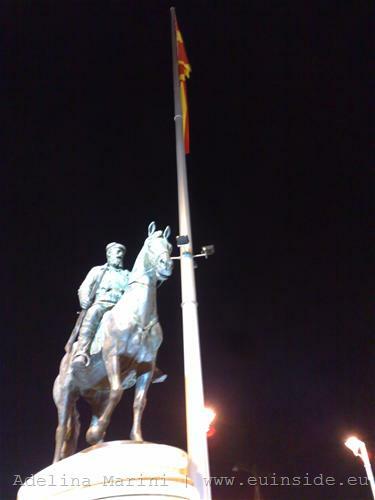 Is Macedonia ready for such a gesture? And the EU? 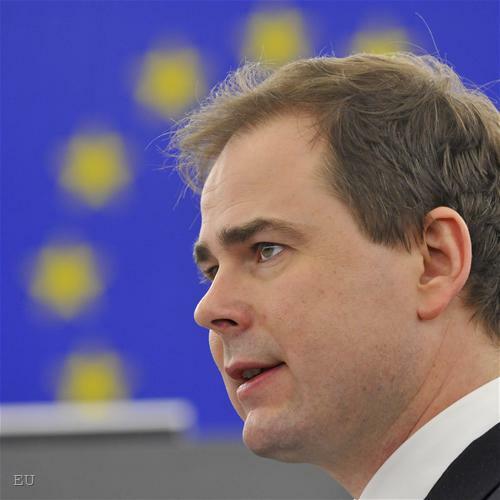 According to the statements of Stefan Fule, the enlargement commissioner, and Nicolai Wammen, as well as of some MEPs, Macedonia is fully ready to start negotiations. What the country should work upon, according to Mr Fule, is to ensure freedom of expression, to start immediate reforms of the public administration, to complete the electoral reform and to develop a functioning market economy. 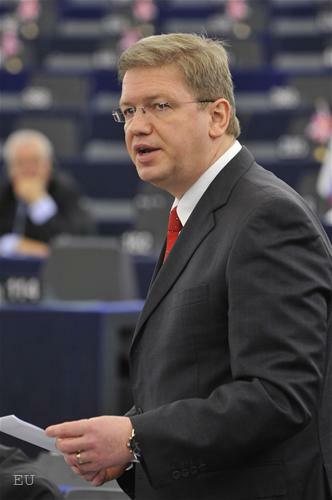 Commissioner Fule also underlined that rule of law is an area of strategic importance for the EU, which is why the approach first introduced to Montenegro will be applied to Macedonia too - negotiations to start from the toughest chapters, like those related to the rule of law and the judicial reform. 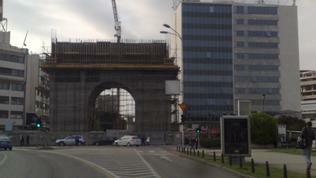 This is the result of the lessons learnt from Bulgaria and Romania. The statements in the house during the debates on the resolution outlined very clearly the big division in the EU - between the mature democracies and the still unripe ones. Mature are those who see benefits beyond their individual "national" interest, while the unripe are those who think that they prove their significance domestically, without taking into account the long-term and regional consequences. Alas, Greece and Bulgaria are in the second group. Romania is not in this company, at least not in this debate. Instead, Bucharest was blocking till the very last moment the candidate status of Serbia. 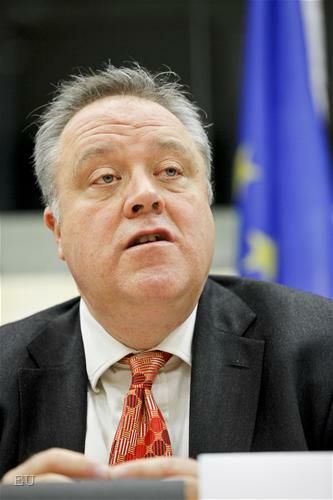 Richard Howitt, the rapporteur, spoke briefly and emphasised that the accession process should start for Macedonia without delay. 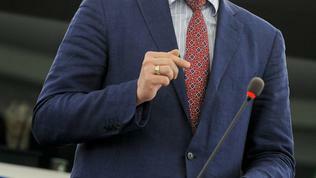 "It is a country that has excellent relations both with Serbia and Kosovo. A country which cannot be left behind". His colleague from the group of the European People's Party, Eduard Kukan (Slovakia) warned that prolonging the agony of accession could make the EU enlargement policy not credible in the Balkans. According to him, there is a real danger a substitute agenda to appear in the country. 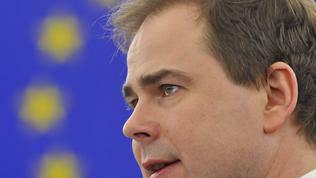 "Macedonia has a realistic chance to move forward in the EU integration. 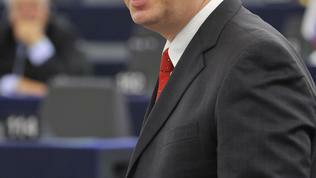 It is our responsibility to make this happen", the Slovak MEP added. 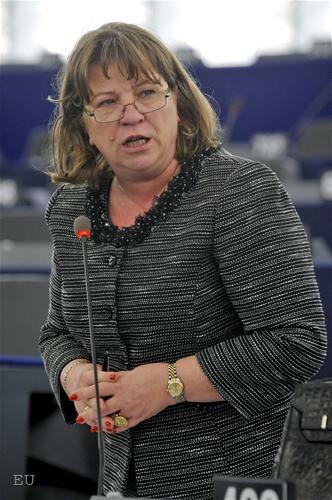 Norica Nicolai (ALDE, Romania) was very sharp, saying that she was frustrated that the negotiations had not started yet. "The name dispute cannot constitute still an obstacle to the European perspectives of this country", she said. A thesis, expressed by German MEP Elmar Brok too, who, though, turned it a bit round: "The future of Europe cannot hang on the name issue". After the debates started in such a civilised way, with the intervention of Greek MEPs, and also of Bulgarian representatives, it became clear that a lot of countries had been accepted in the EU with unsolved neighbourly relations. The Greek MEPs were unanimous in their position that Macedonia must not start negotiations until the name issue is resolved. After several Greek statements, a British MEP recalled that at the moment the entire EU was dealing with Greece and was solving its economic problems, which threaten the entire European stability. His Greek colleagues, however, refused a link to be made between the rescue efforts for Greece and the fact that Macedonia did not deserve to start negotiations until the name dispute was solved. 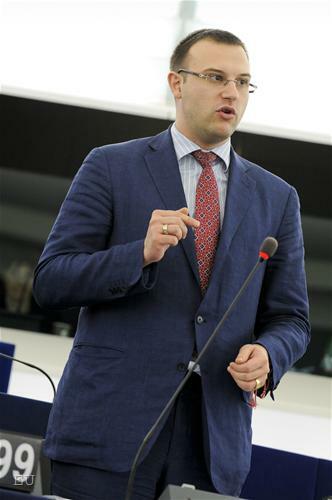 Dimitar Stoyanov, a Bulgarian MEP, joined the debates with a blue card by asking his colleagues whether they were aware that the rights of the Bulgarian minority in Macedonia were constantly violated. Marije Cornelissen from the group of the Greens (Netherlands) answered that the relations between Bulgaria and Macedonia were constantly moving back and forth and that they were stigmatised. But according to Dimitar Stoyanov, the efforts of the Macedonian propaganda machine to spread hatred should not be underestimated. He reminded his colleagues that only a day earlier they all were indignant from the Dutch website, aimed against the Eastern Europeans in the country. "Compared to the propaganda machine in Macedonia, this website is a childish game", the MEP added. 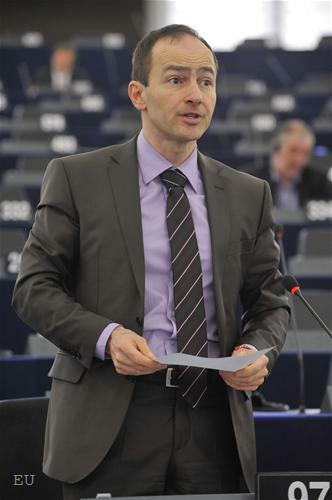 Another Bulgarian MEP, Andrey Kovatchev, announced that the name dispute was not the most important problem of Macedonia, it was only the tip of the iceberg. 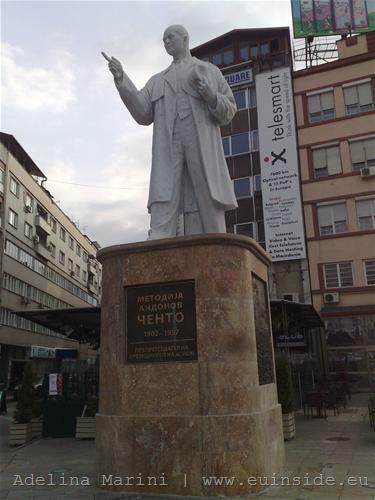 It was important to pay attention to the manipulation the propaganda in Macedonia was doing with the text books. "No one would like the young people in the Balkans to be brought up in hatred", Mr Kovatchev concluded. Several times during the debate the territorial dispute between Slovenia and Croatia was cited as an example. 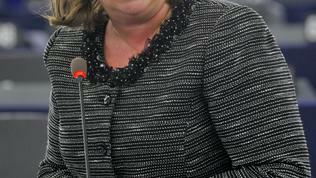 A Slovenian MEP recalled, however, that Slovenia never blocked Croatia's accession process and interfered only once, after which the dispute was solved. 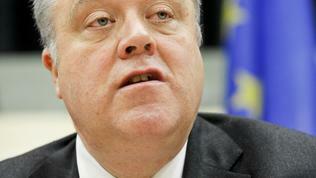 By the way, the relations between the two countries are quoted in Richard Howitt's report. In the resolution it is explicitly stated that seeking a solution to the name dispute must be based on the Slovenian-Croatian model, in which the accession negotiations go in parallel with solving the bilateral issue. Therefore, the document again calls a permanent mechanism to be found for solving bilateral disputes between EU member states and candidate countries. The debates ended with a very powerful message of Commissioner Fule, whose intervention sounded a bit like an intervention of an adult in a dispute among kids. 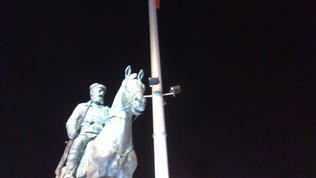 With a calm tone, the Czech explained that he had learnt two lessons from the sometimes very challenging European past. One is that the best way to take care of your own people is to take care of your neighbours and how they perceive you. The second lesson, according to Stefan Fule: "Your/ours identity, while having strong roots in the past, is defined by your/our present and future steps". In an article for one of the biggest Macedonian newspapers Utrinski Vesnik, the author Erol Ryazov recalls that each country had to make compromises before joining the EU. Slovenia had to swallow the return of property to the Italian minority, Croatia had to surrender territorial waters in the Gulf of Piran, Bulgaria had to close reactors in its nuclear power plant Kozlodui, Romania had to make concessions for the Hungarian minority and Serbia had to swallow the start of a dialogue with Kosovo, Macedonia's humiliation will be to reach a compromise on the name with Greece, the author writes. It's a pity that still this is perceived as humiliation because European politics is one of give and take. And when a decision is taken for the long-term future of a country it is good to put in balance the pluses and minuses. In a perfect world may be it is possible a country to get everything. In our world, however, a gain for someone is a loss for another, which is why the compromise was invented. I write my name because i want others to know who i am, to see where i come from. It is my identity and i am proud of it. It was given to me by my parents after many generations of history and it has a meaning. If somebody decides that i am not allowed to join university for my name, i will appeal courts, and courts will give me the right i own, which is giving honor to my name. Courts have already spoken, history has been proven, and here am i, standing proud for the name is mine, and mine to use,to keep and honor. the problem in the balkens forever has been your enemies will huff and puff in front of you(greece) & your friends(bulgaria) will stab you in your back.Sit back and enjoy this stupid romp thru stupid people & countries. Bulgaria who managed to be on the wrong side in everything over 300 years., and their marriage to Greece for this problem will come back to haunt them. Greece, who sold their souls to EU banks, just bought 1.5 billion in militery crap. the only end to this is the people will suffer. All the people. The Great Macedonian Empire On three Universe! Guys are you really brainwashed ? @ vwpBulgaria joined the wrong sides the last 140 years only to protect its people and the only thing we have achieved is that we lost more territory and lifes. Macedonia is the curse for Bulgaria...p.s. Instead of talking, gossiping and spreading hate to your neighbors, stealing history you should start learning albanian (you could have been using Bulgarian dough...). Razbra li me make?